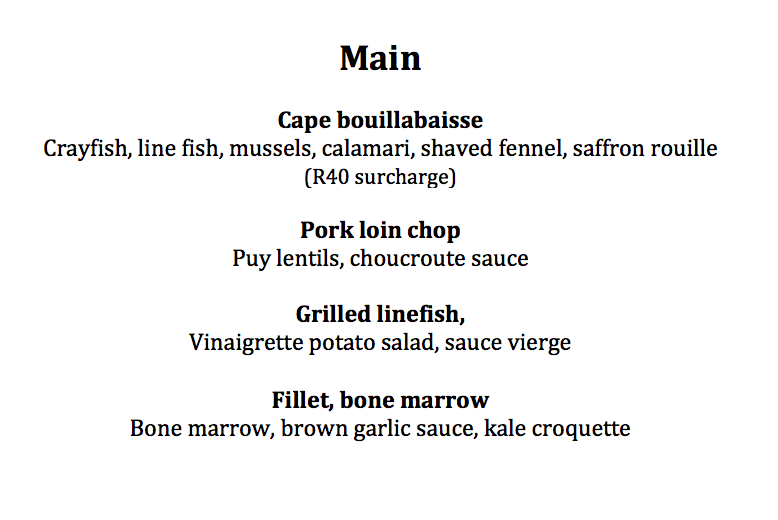 Haute Cabrière has launched a new Summer menu, and revived their entire restaurant offering breathing new life into the wine estate. 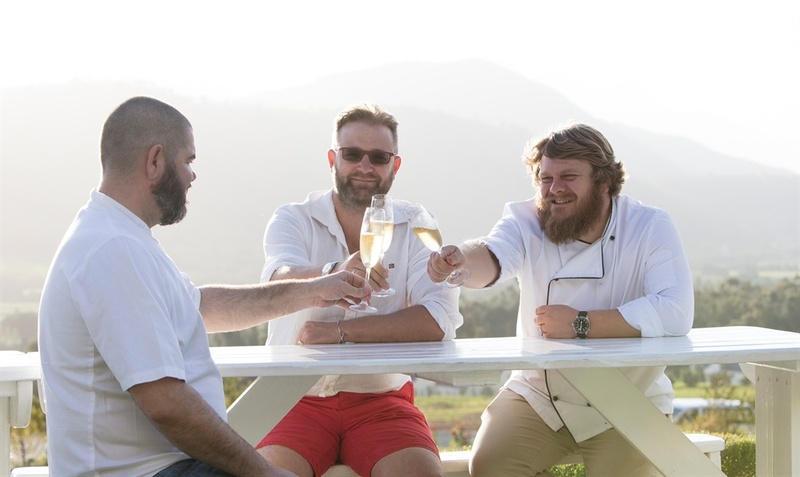 Cellarmaster Takuan van Arnim has partnered with chef Nic van Wyk of Bistro13 and chef Westley Muller of Knorhoek restaurant, to create a seasonal menu of classic dishes that have been modernised and re-energised. 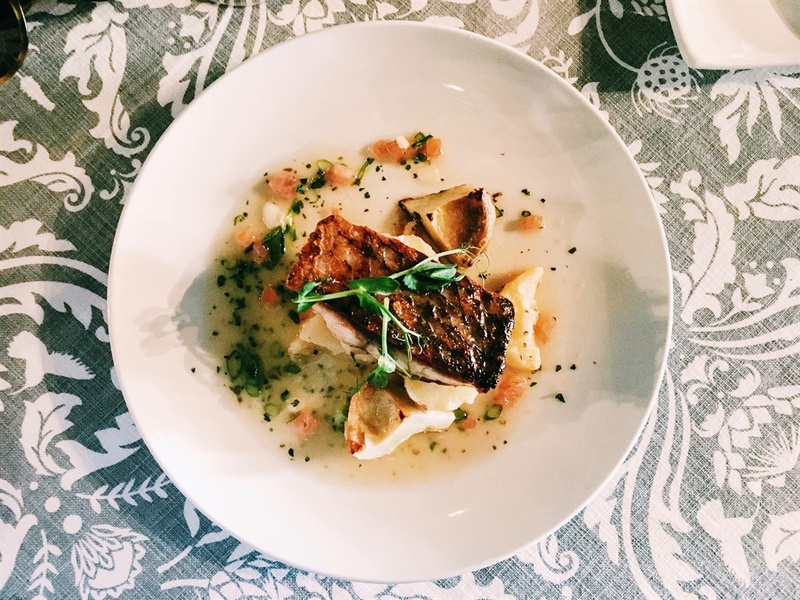 As the old menu falls away, the restaurant offers guests a brand new tasting menu and an a la carte menu that are sure to boost the stakes in the upscale Franschhoek restaurant scene. The restaurant and iconic cellar are set right into the foothills of the Franschhoek mountains, carved into the earth looking very much like a scene from The Shire, complete with medieval signage, which pays homage to the centuries-old land on which the winery sits. The cellar literally is one with the mountain making Haute Cabrière very unique and full of character, which extends to its wines. The grounds are as pretty as ever this Summer, with outdoor seating next to perfectly manicured English roses, overlooking the Franschhoek valley. Inside, the décor as it sits now is likely to change in a few months’ time, as Takuan explained that he has plans to revamp the restaurant once the summer season has died down. 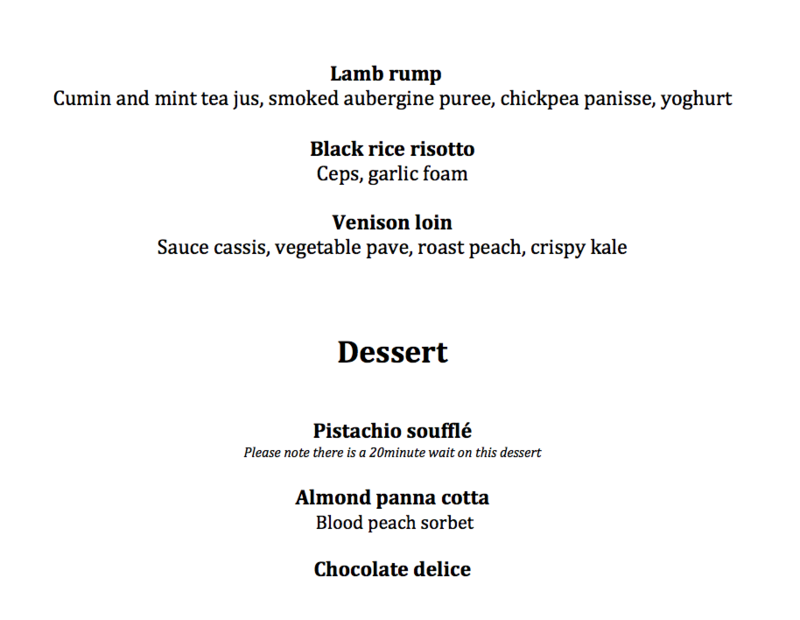 Something else to look forward to on top of the new chefs and menu changes. 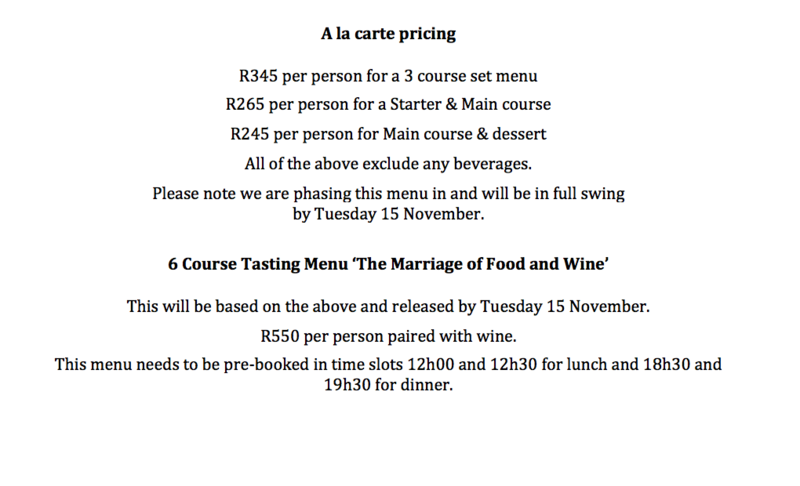 On our visit we got to enjoy the tasting menu, each dish being paired with a different wine or Cap Classique. A stand-out dish was the Caprese salad, which was unlike any Caprese salad I’d had before. It comprised of tempurerd basil leaves, bright-red squashed tomatoes, the softest Buffalo Mozzerella, Buffalo Mozzerella foam and all of this placed in a 'tomato water'. It was the perfect balance of freshness with a hint of sourness from vinegar, which was softened by the light batter on the basil leaves. Another highlight was the line fish of Red Drum. This was without a doubt one of the most beautifully cooked pieces of fish I’ve had, and also was well complimented with a zesty vinaigrette, roasted potato salad and diced tomatoes. This was paired with Tranquille, one of Haute Cabrière’s easy drinkers and Signature Summer wines. The Summer menu has been designed to bring out the flavours and characters of the wines, and vice versa, which is why Takuan worked closely with Nic and Westley. The whole idea is to celebrate a marriage of food and wine, which is why both elements were fully considered, and what better time to enjoy the two, than during a Franschhoek Summer? 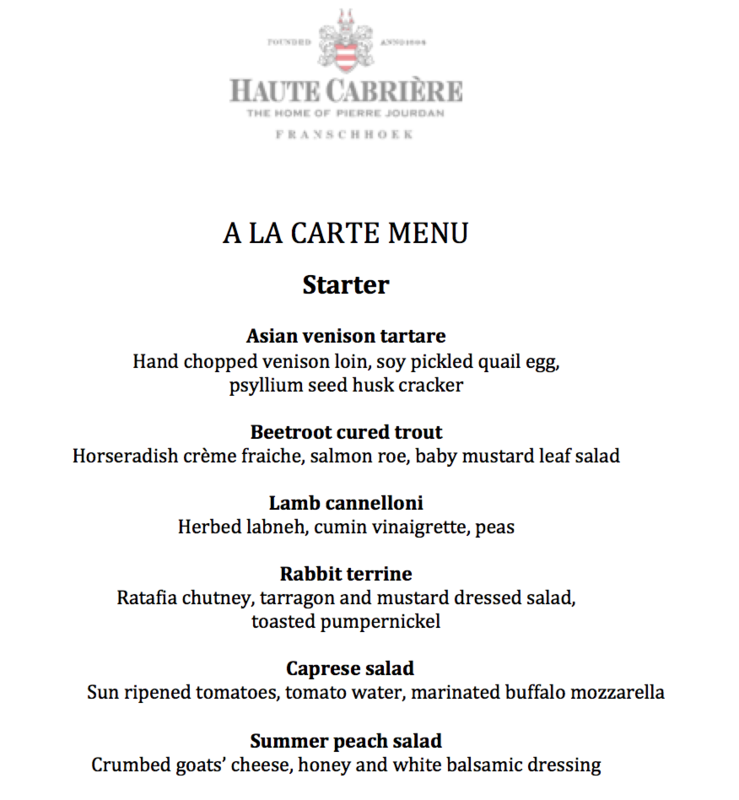 Book you table to enjoy this new experience at Haute Cabrière and find out more about their opening dates over the holidays here.